Marguerite Bennett, just establishing herself with DC fans as the writer of a recent Batman Annual, an issue of Batgirl coming up and the forthcoming Villains Month Lobo title, has been barraged all day long, as one might expect, from fans on social media asking what she thinks of the character's controversial redesign, unveiled this morning on DC's blog. "The Lobo you’ve seen so far in the New 52 is not who you think he is. In this one-shot, you’ll be introduced to the real Lobo. 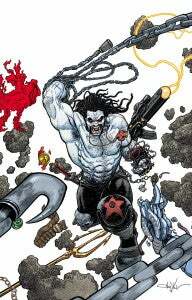 A ruthless killer, Lobo is on a quest to kill the man who has taken his name," said DC's Bob Harras in the post. "This Lobo is equal parts strong, vicious, and driven. There’s a darker and more logical idea about what a force of nature like him is capable of. After all, this is someone who can infiltrate high society, fly a space ship, and adhere to a very specific moral code that’s not your typical anti-hero one. Oh, and, this one-shot takes place very far away from Earth. And when I say very far away, I mean it takes place literally on the other side of the galaxy." Bennett, for her part, told fans on Twitter, "I know the change is alarming, but I stand by the book," adding, "Say what you want now, and hate me on Page 2, but if you don't like what I've written by Page 4, you never have to read my stuff again." 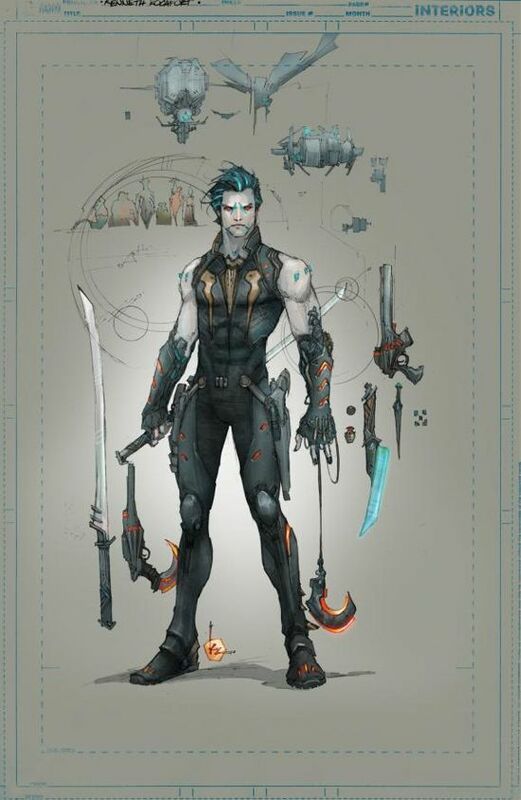 The writer added that the Lobo in her story will feature the new weapons, costume and the like seen in the preview art but that the Main Man will be a much more substantial figure than Kenneth Rocafort's redesign, seen at right. "Not a spoiler, as pages from our issue have been released, but our Lobo, with his new costume and abilities (a la Rocafort), is a lot bigger and uglier (a la Kuder). It's the best of both worlds." The Kuder there is incoming Action Comics artist Aaron Kuder, whodrew the cover seen above. The issue itself will be drawn by Ben Oliver and feature a look for Lobo that Bennett claims isn't exactly like either version.